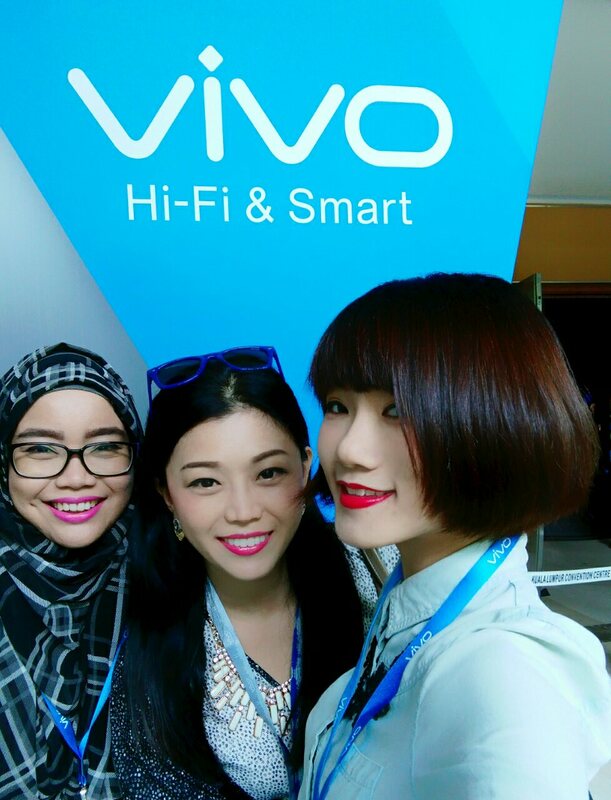 Not much a tech enthusiast unless it's a camera or a smart phone and just less than 3 days ago i was invited as a guest celebrity blogger to one of the biggest & most lavish mobile phone launch & conference ever by Vivo Malaysia for their vivo X5Pro and would like to thank them for this prestigious opportunity. There were so many local celebrities that graced this event, some names that i don't even know pun ada lol, time to brush up on the entertainment industry. The main stars of that evening were our very own proud Malaysian Ambassadors multi talented actress/singer Soo Winci & songbird duo Fuying & Sam. Bumped into other celebrity bloggers that day, meet Kelly & Ruby! I've known Vivo brand since last year when they promoted themselves during Animangaki 2014 and they are China's leading smartphone creators with outstanding innovative designs and their latest Vivo X5Pro also known as " Touch By Beauty" has recently broken the worldwide sales record ever since it's been launched early summer. Which makes me super curious one how this X5Pro model actually works and thanks to the conference i managed to get a glimpse on how this particular model managed to capture the hearts of people all over the world. X5Pro is designed specially after the needs of trendy modern youths (or anyone young & energetic at heart) but made friendly for users of all ages, both young & old to allow them to experience & also enjoy the ultimate functions made for youths like Hi-Fi sound quality (Vivo is specially known for that), super slim body, high quality camera with special in-built functions and last but not least the FunTouch OS. 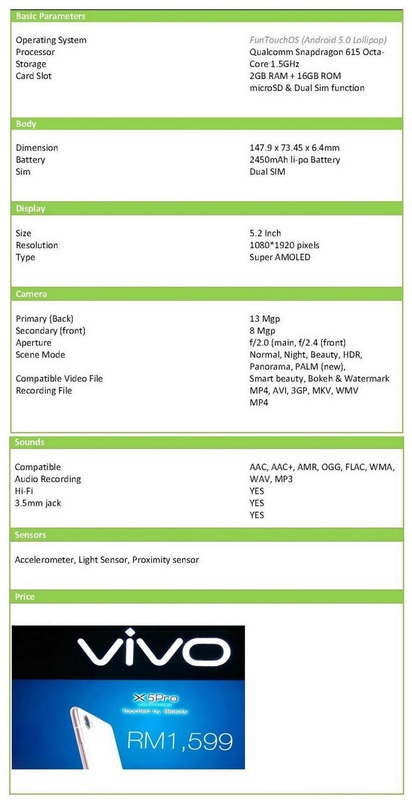 Aside from all that here is a specific breakdown on what the X5Pro model. Seems that their selling point for this model is the camera as it has 3 new special functions and also their well known Hi-Fi sound system. What intrigues me most is their Wave function to capture images without having to press any buttons, i have not tried it out personally so i can't say about it's sensitivity in detecting wave movements in different conditions like moving car or night time. How this function works is by making a wave in order to activate it's timer to set off the snap button which sound convenient & kinda cool especially when you try to take a full group selfie (or groupfie/ wefie) but the other hand isn't long enough to reach the screen snap button or any of the camera buttons without shaking which resulting photos to be blurry. Also to date the 2nd most interesting function would be their beauty mode that detects only "FEMALE" faces. Heck i found it seriously hard to believe at first lol, as you all know beauty modes in phones applies to ANY faces despite gender as a result guys complaining why they look so sissy in photos (bigger eyes & baby smooth skin lol). With Vivo X5Pro's recognition software you guys can know selfie with a girl without having to worry about being sissy-fied by beauty modes and girls can get their usual beauty filters. By the way if you guys want to beautify your pictures it is also possible, just override the automatic recognition settings and apply the beauty mode on to your pictures manually. As for the Phase Detection Auto Focus, it is designed specially to capture pictures based on the imitation speed of your eye blinking enabling it to capture priceless moments without missing it. Now that function sounds amazing and it's the first of its kind around to actually have auto focus mode that works that fast. 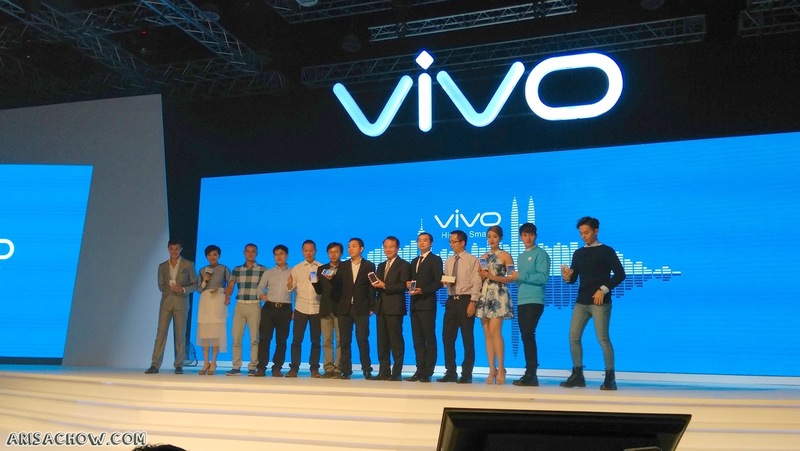 All i can share right now is direct from a press release and what i heard during the live demonstration at the Vivo conference. Powered by Android 5.0 Lollipop that provides top level speed , unwavering app execution and longer battery life span. It's slim body & screen size is at the perfect size, not too big & not too small. 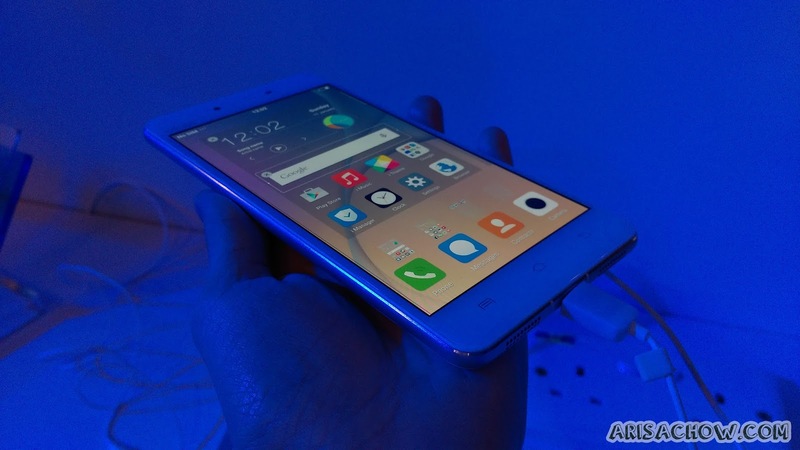 Makes the vivo X5Pro look so classy despite it retailing for only RM1599, which is insanely affordable for the quality design & functions offered. 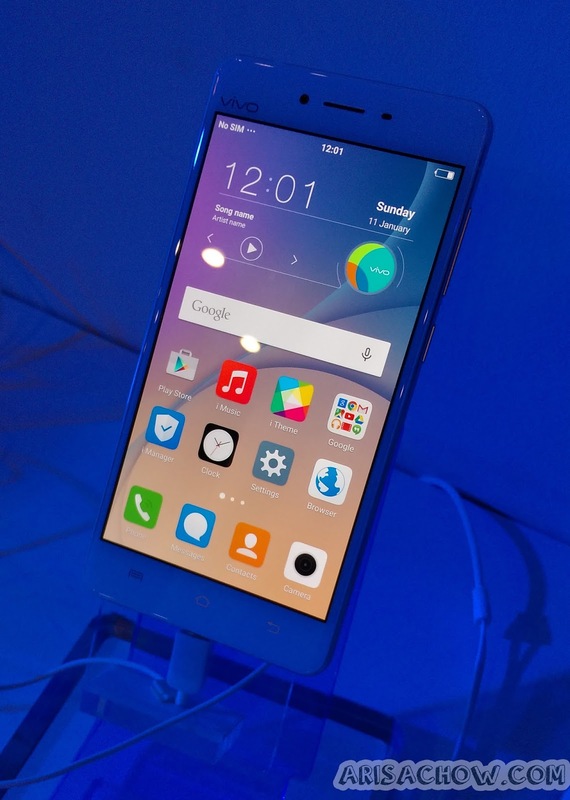 For more details and update on the phone you can check out their official Malaysian facebook page.